Directed by S. Craig Zahler. 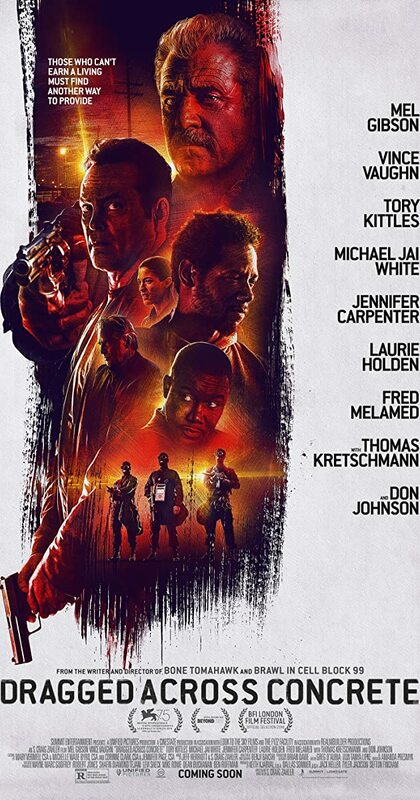 With Jennifer Carpenter, Mel Gibson, Michael Jai White, Laurie Holden. Once two overzealous cops get suspended from the force, they must delve into the criminal underworld to get their proper compensation.